These daffodils are so bright and cheery. 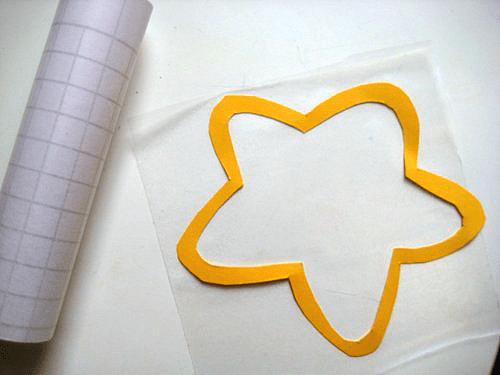 They are great for children who love cutting out with scissors and tearing up paper. 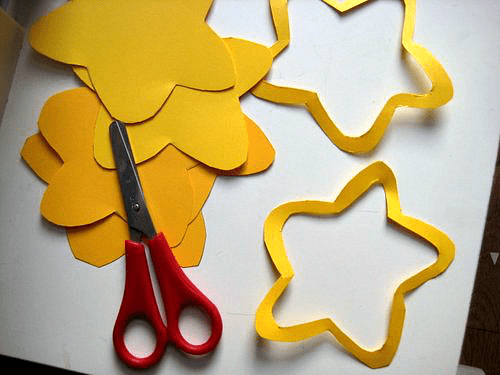 Toddlers and preschoolers might need some help with some of the cutting out. 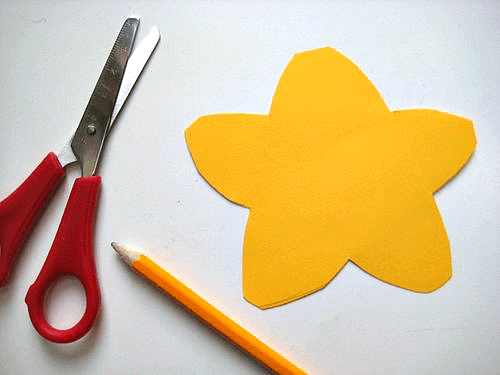 Start by cutting out some daffodil shapes from yellow card. 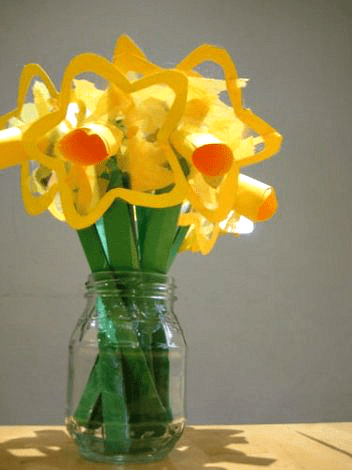 Then cut out the centre of each daffodil – as many as you like to display in the window or in a vase. 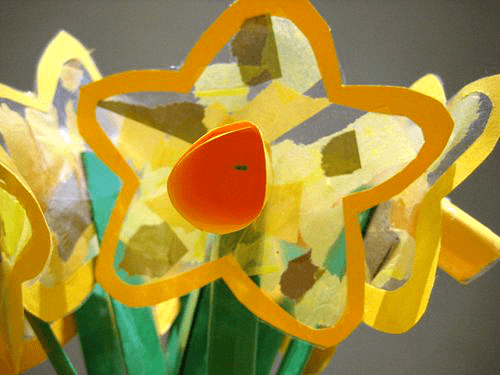 Then stick each daffodil frame onto a sheet of contact paper / sticky-backed plastic. 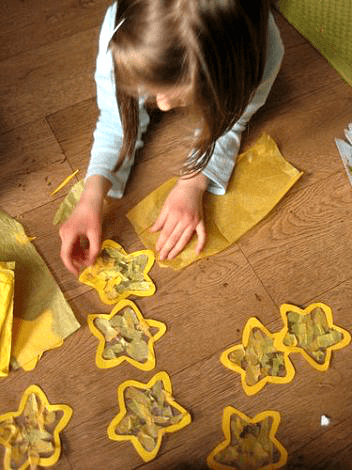 Using sticky-backed plastic is less messy than glue and the children can stick, peel and stick as much as they like. 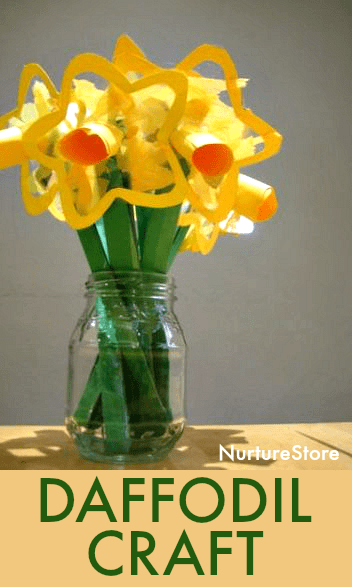 Plus no waiting for glue to dry, so you have instant daffodils! 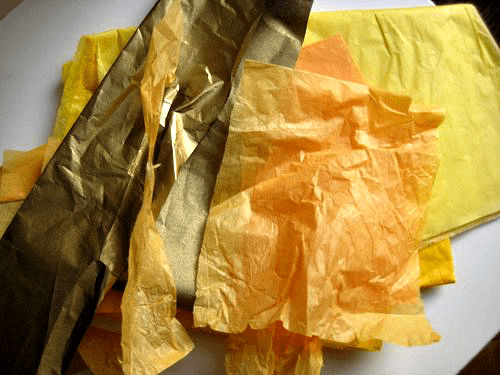 To decorate you’ll need some tissue paper in yellow and golden shades…. which you can stick on to the contact paper centres. 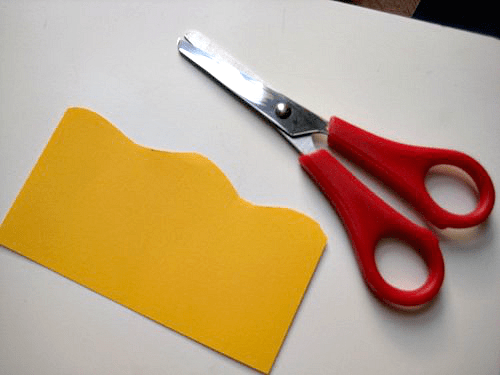 Your child can tear up little pieces using their fingers or if they like using scissors they could snip the papers up. 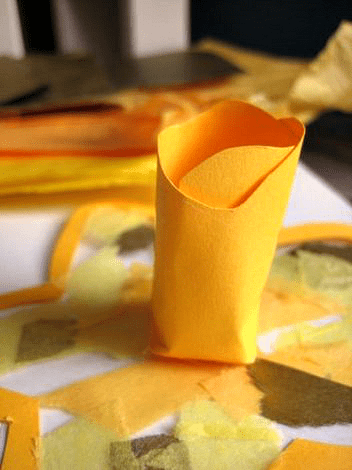 To make the ‘trumpet’ for the centre of your daffodil, cut a little piece of the yellow card with a wiggly edge…. wrap it round and use sticky tape to hold in place. We folded over the very end of the trumpet and used a little sticky tape to fix it into the centre of the flower. Use a rolled up piece of green card, fastened with sticky tape, to make your stem and you’re done. The daffodils are beautiful when they catch some spring sunshine and the light shines through the tissue paper. They look great in a vase for the kitchen table or you could wrap a little posy in paper to give as a gift. 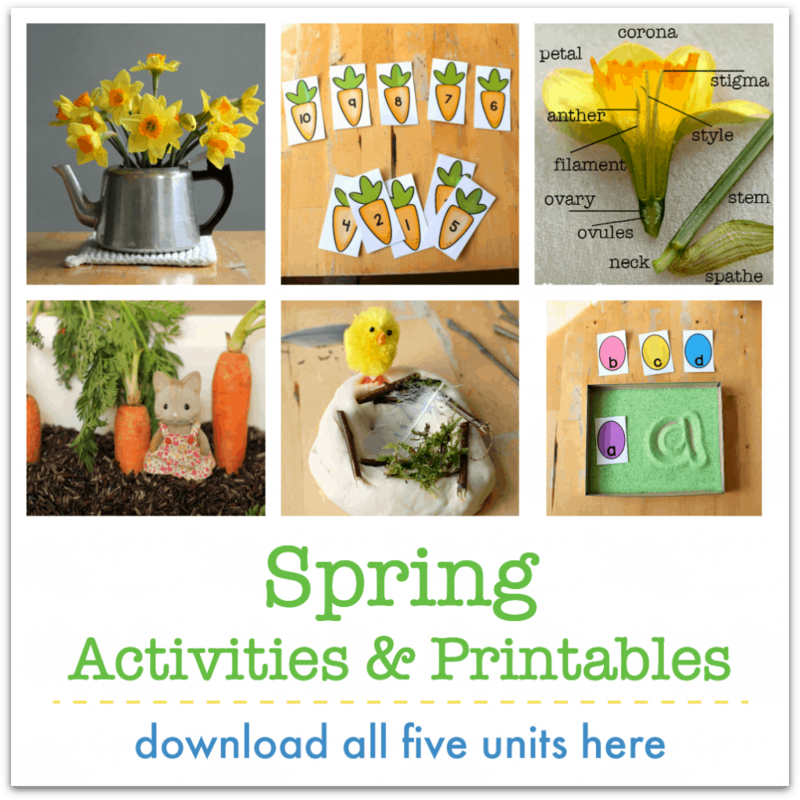 For daffodil bunting, daffodil spinners, and daffodil still life art and more, click through to see our Daffodil Unit. These are absolutely stunning! I can’t wait to try. Might I add, this technique would be beautiful for making butterflies!!!! Blue butterflies …Wye. Thanks so much. Yes, butterflies would be lovely!